President Donald Trump continued to slam CNN’s Carl Bernstein on Wednesday, challenging the network’s journalism ethics and their use of anonymous sources. 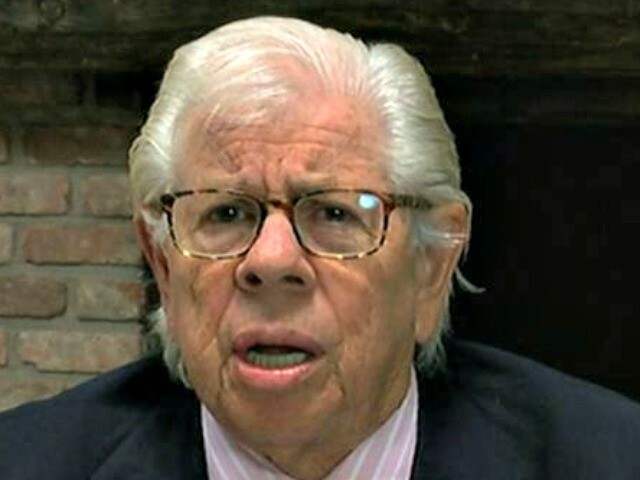 “Sloppy Carl Bernstein, a man who lives in the past and thinks like a degenerate fool, making up story after story, is being laughed at all over the country!” Trump wrote on Twitter. The story in question, co-bylined by Bernstein, cited Michael Cohen’s lawyer Lanny Davis as an anonymous source while subsequently writing that he declined to comment for the story. Davis admitted that he was a source for the story, which claimed Cohen knew that Trump had advance knowledge of a meeting with Russians and Donald Trump Jr. Since the controversy began, CNN has refused to retract the story, despite internal division about the network’s response. “CNN is being torn apart from within based on their being caught in a major lie and refusing to admit the mistake,” Trump wrote on Twitter. CNN responded to Trump on Twitter. But the CNN article in question stated explicitly that Davis “declined to comment” for the story, despite the reporters using him as an anonymous source. Earlier, Trump wrote that CNN got “caught red-handed” using fake news sources.